Boy. The newest radio accessory is breathtaking. I mean itâs just so stunning so highly developed. I pity those who grew up without the earpiece. The difference with the Beans is that you donât need to consult a doctor. The Music Pros look exactly like the Beans. Theyâre self-contained, use tiny hearing-aid batteries and fit inside your ear. If you fit them correctly, they donât show unless you turn your head. The Music Pros have tiny microphones that listen to what you are hearing and process the sound before it gets to your ears. There is no power switch â" you turn the earplugs off by unsnapping the battery doors and removing the batteries. Itâs easier than it sounds. I was easily able to find one that worked well (I like the spongy ones), and theyâre easy to change out. I didnât see any live music during my testing week, but I did simulate the concert experience with over-the-ear headphones cranked up really loud. The Music Pros did what they said theyâd do â" they let me hear sounds at a normal volume and definitely kept really loud sounds from getting to my ears. Theyâre magical, but for $299 for the pair, Iâd expected them to impress. Iâm not entirely sure what the target market is for these â" people who work regularly at concert venues, maybe, or people in construction jobs. 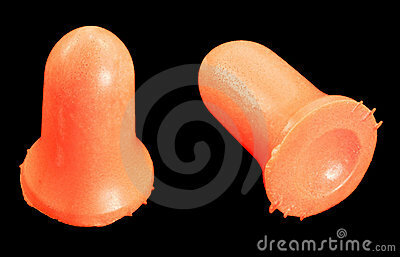 I suppose if you wear earplugs as part of your daily life, youâd want to take a look at these. Bottom line: If I had a job in which my hearing were stressed regularly, Iâd probably invest in these. Iâve been listening to Etymotic earphones for at least a decade. Its MC3 headset + earphones is a worthy member of a great line of audio products. The MC3 ($79 at etymotic.com) has a lot going for it, but most important itâs comfortable and sounds really good. Etymotic includes four types of tips, so chances are good that youâll find one that fits your ears. The MC3s offer great noise isolation if you get the right fit. And theyâre not heavy on the bass, which I like. Etymotic has a custom-fit earmold option that lets users get molds made of their ears at an audiologistâs for a custom set of earpieces. Prices vary depending on the audiologist, but Etymotic has a list of audiologists it works with, and according to some online whoâve reviewed the process, the cost is around $100, which is a bargain and worth checking out. Overall I like MC3s. Theyâre inexpensive, have a good sound for my ear, fit comfortably and have a microphone so I can use them with my phone. Bottom line: A solid choice if youâre not all about the bass.